Sam and Ariel knew each other before they started dating. Their wasn't really much romantic interest there- at least not on Ariel's end. A group of Ariel's friends (who were all coupled up) were going to go out on a Friday night after a week of college classes. Ariel wasn't thrilled about the idea of being a "third wheel" so she was planning to stay in that night. Her best friend was determined to not leave her in her dorm room by herself that night, and she told her " I will find SOMEONE for you to double with!" Well, that someone was Sam! Life is so funny. Things always happen when you least expect them to, and this night was no different. Sam and Ariel really hit it off! When all the other couples conversations lulled, Sam and Ariel kept chattering away! They dated for about a year and a half when Sam decided to propose. 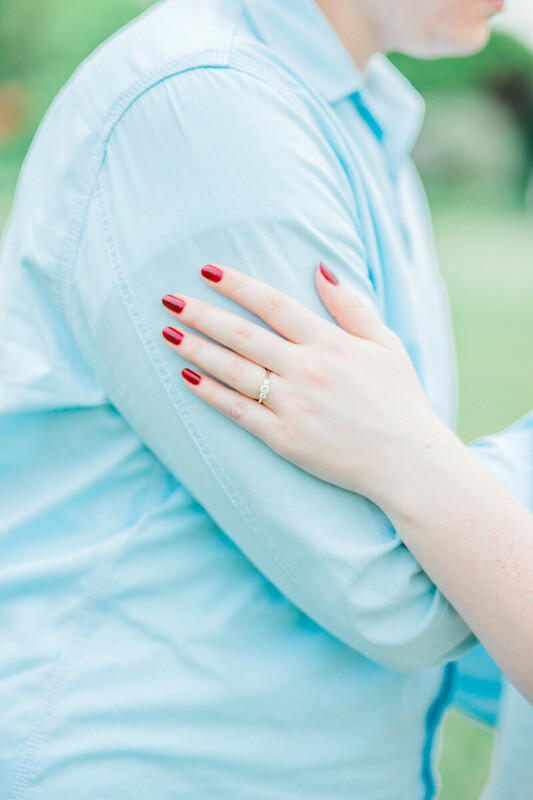 He proposed at Duke Gardens in Durham, NC, and ,of course, Ariel said yes!